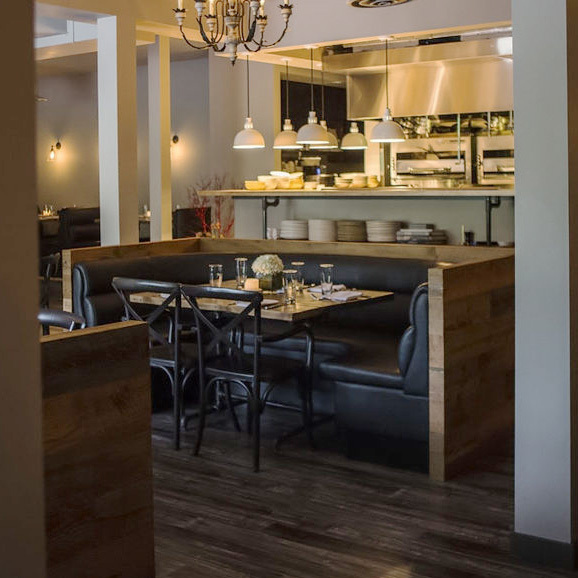 Exciting new restaurant in Bellevue features Plank&Grain furniture! Be sure to check them out. "The restaurant’s beautiful wooden tables are being made by Plank & Grain. “The glow on the guy’s face when he’s talking about how nice they are and how proud they are of their work…I’m really excited,” says Stewart. “It’s old growth from the area that we’re able to serve food on. It’s pretty incredible!”"
Come by King Street Supply this weekend for deals on furniture and $2 iPhone covers from Lazerwood; stick around for great street food in Chinatown's Dragon Fest! The Plank&Grain guys are super busy right now building tables for 99 Park Restaurant, a soon-to-open restaurant in old Bellevue serving globally-influenced Northwest cuisine. Be sure to check them out later this summer! This Saturday, May 3rd, the ID is hosting Seattle's Food Truck festival! Come down and check out our furniture then walk a block for some tasty street food! We're happy to be opening our new store and showroom in Seattle's international district. King Street Supply Co. is located at 666 S. King Street. Come by and pay us a visit! Stay up to date with all the Plank&Grain news and events. We love hearing from you as well. Send us a photo* of your Plank&Grain furniture in its new home and we'll put it up here!